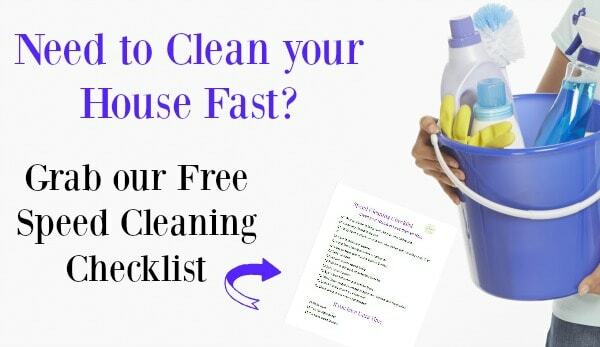 Let’s face it, once you have kids your house is never clean. I struggle with this everyday. 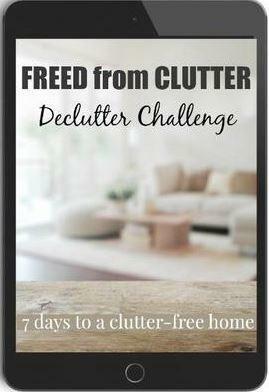 I’m not a neat freak but I can’t stand clutter, it makes me anxious. 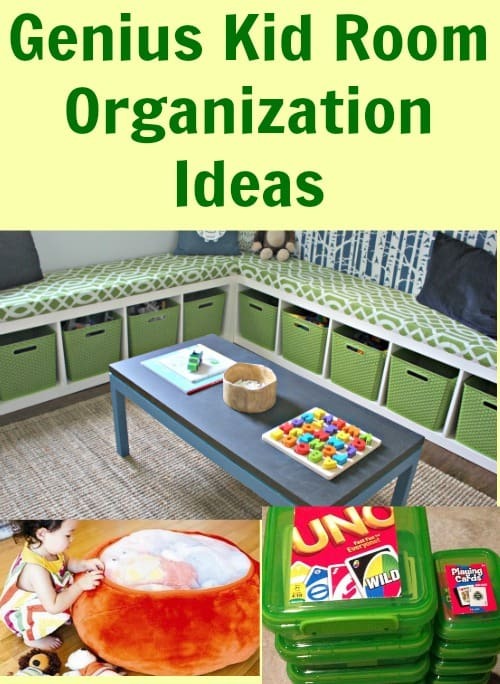 I came across some adorable and genius kid room organization ideas online. I wanted to share them in case you are like me and need some ways to make organization more fun. 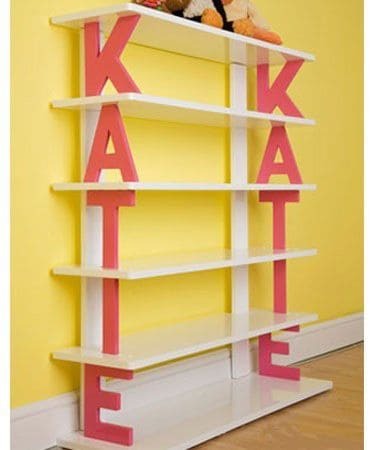 There are so many ways to really personalize storage items for kids so that it fits in well with the room. We all know that storage bins and cubbies are great for keeping toys off the floor but a lot of them seem very plain and boring. Use a few of these ideas to make them more fun. 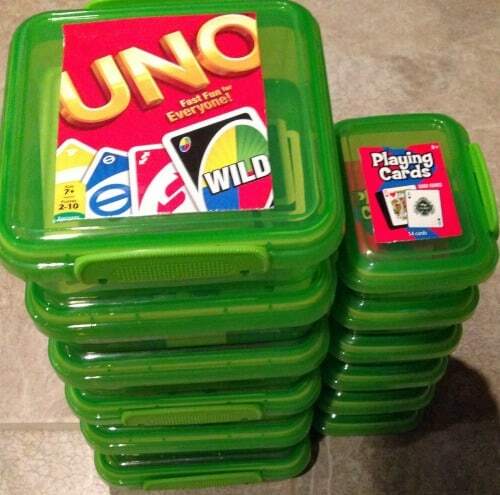 I love this storage idea from All 4 the Love of Teaching. She took some storage containers that she found at a dollar store and uses them to keep all of her board and card games together. They are all uniformed and stack perfectly to help save space. You can find similar ones here. Hate keeping up with all the little cars? 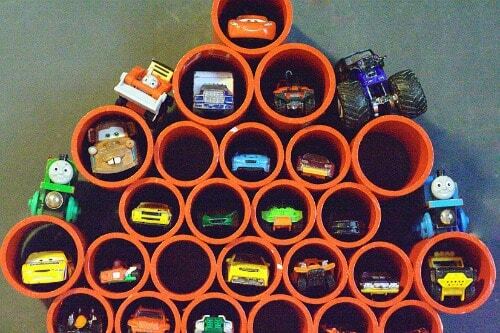 The Gracious Wife has a quick tutorial for making storage out of PVC pipe. They are the perfect size for small toy cars. If you really want to be frugal, you could probably use toilet paper rolls instead of the PVC pipe. I really like using hanging shoe organizers because they are huge space savers. 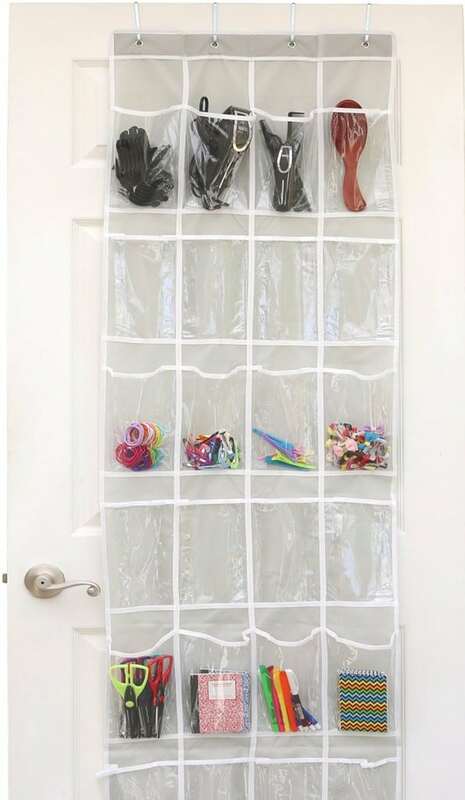 They are great for storing so many things: art supplies, barbie dolls, action figures, and so much more. I like getting the clear ones so my daughter can see exactly where everything is and it’s easy for her to find an empty slot when putting them back. This stuffed animal storage bag is adorable! I love when items can be used for more than one thing. 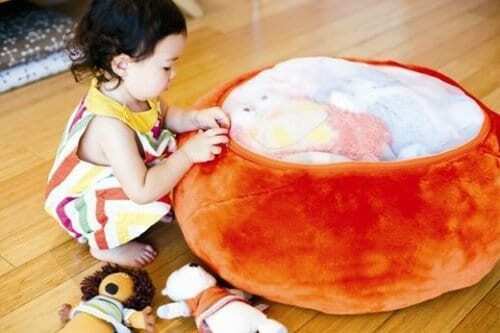 This stores all of your child’s stuffed animals and when it is full, turn it over and it can be used as a soft chair. This is my favorite idea on the list. It comes from I Heart Organizing. She took two bookcases from Ikea and layed them on the side to make a cute storage seating area. Get the full tutorial here. This is such a good idea and you can make the cushion and storage bins match your child’s decor. Don’t forget about all of the empty space underneath the bed. That is prime storage space! I love these roll out storage bins. You can put toys, books, blankets, etc. out of sight. These are even great under the crib. You can make a cute crib skirt to hide what is underneath. Are dress up clothes taking over? 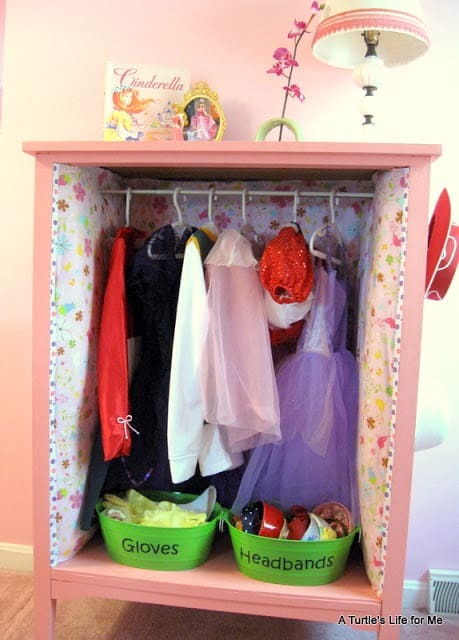 I love this dress up closet! 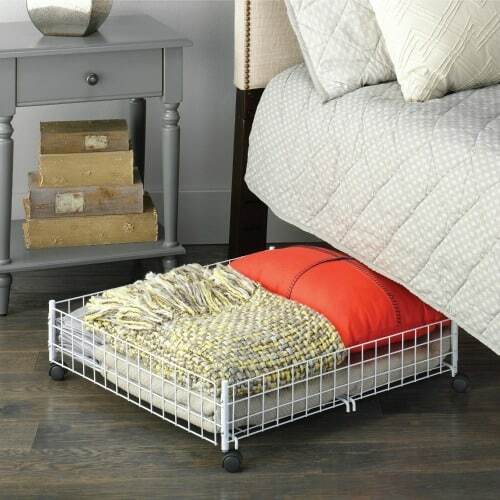 It is so cute and a great way to keep everything tidy. She made it from an old dresser. You can get the full tutorial here. This is an interesting way to store books….rain gutters! They made these shelves out of rain gutters and I think it looks great. You don’t have to worry about any of the books sliding off the shelf. Get the full tutorial here. If you already have hanging shelves, take advantage of the space underneath! 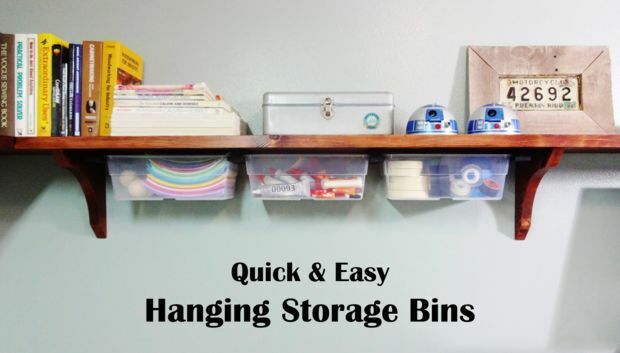 This is a really simple way to create hanging storage bins in your child’s room. Get the full tutorial here. 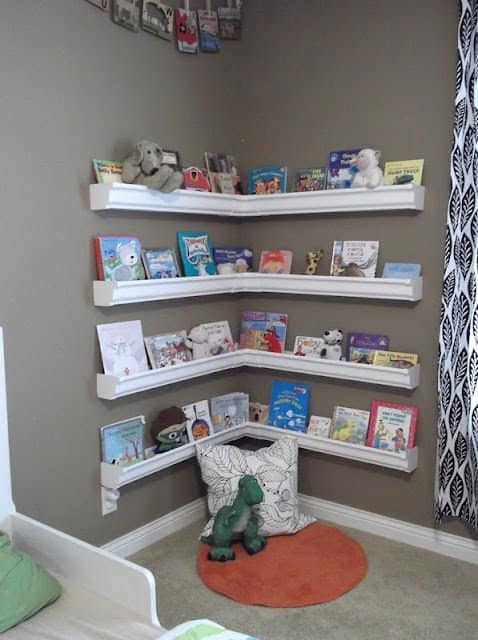 I thought this was a really cute idea for storing books and even toys. I couldn’t find the link to the post, I saw this picture on Pinterest. You can use it for inspiration to create your own. I can’t wait to put some of these ideas to use in my daughter’s room. I love that you can make most of these yourself to really help save some money. What are some of your kid room organization ideas?